Should there be a list of the most beautiful female reporters with the most curvaceous bodies in the world, then, Kristina Pink should be in the list if not at the top. The gorgeous American sports journalist showed interest in sports journalism right from her college days where she covered stories for Florida college athletics. Her dedication to her chosen career got her hired by FOX News, where she has covered sporting events especially the NFL games. Not only has her beauty endeared her to the hearts of many, but her high level of professionalism has made her a face sports lovers across the globe long to see. As we take a look into the bio of this amazing woman, you will get to know if she is married or who her boyfriend maybe. There is no reliable information with respect to the year Kristina Pink was born, some sources report 1986 while some others report 1987. However, she was born in the United States and celebrates her birthdays on the 12th of the month of March. Details regarding the exact location of birth, her parents and childhood are all closed details. The African American reporter through her social media handle revealed she has a brother whose name, however, she did not spill. It is known that she is a graduate of the University of Florida where she majored in Telecommunications even though details of her basic and high school education remain unknown. Whilst in college, she took her first plunge in sports journalism by providing the profiles of the college athletes. Later, she worked in the University’s television station known as WUFT and also at WRUF-AM 850. 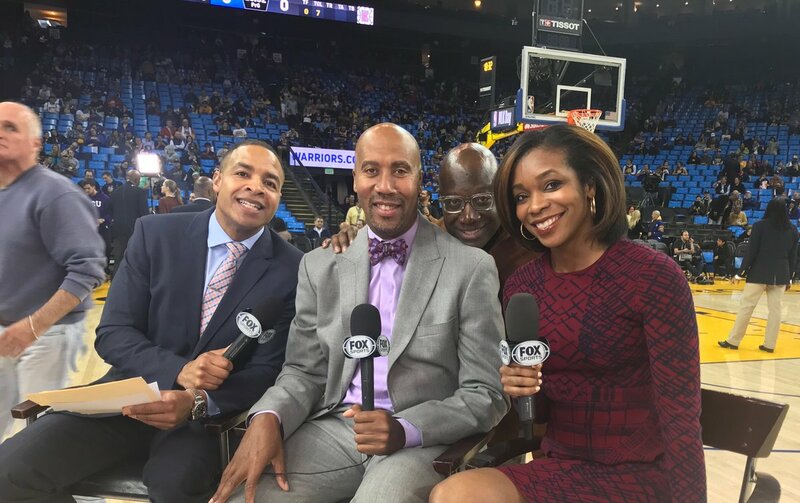 After her graduation in the year 2008, Kristina Pink was hired by WDBD-TV, a television station based in Jackson as a sports reporter. After a short while there, she moved her services to Miami NBC before joining the workforce of WTVJ. Her work did not end there as she has also worked with WGNO-TV as well as the ABC affiliate in New Orleans. Pink had the rare opportunity of covering the 2010 Super Bowl XLIV, as well as the 2010 Pro Bowl in Miami. Her excellent reportage and insight on the game of sports, probably made Fox Sports come for her services in 2012. 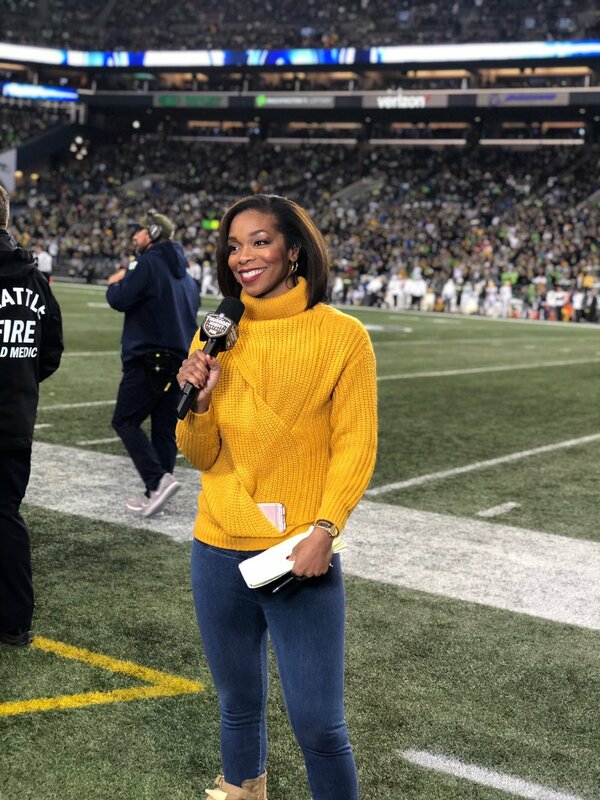 She became a member of the staff of the network, specifically serving as a FOX NFL Sideline Reporter, capturing all the stories around college football especially the 2013 and 2014 seasons. At the moment, she is the courtside reporter for the Los Angeles Clippers on the FOX Sports’ regional network, Prime Ticket. Her job has been paying her decently and her wealth reflects in her lifestyle. She is seen at the events with flamboyant outfits which have earned her more admirers. Her salary as a FOX employee is speculated to be in the range of $60,000 or more. With her work ethic and communication skills, it wouldn’t come as a surprise to find out that she has a handsome figure attached to net worth – which is under review at the moment. Is She Married? Who is The Husband or Boyfriend? If there is one thing that Kristina Pink is good at aside from her profession, it is keeping her personal life cards so close to her chest. As much as we know, the beautiful damsel is still single, as no wedding band has been spotted on her finger yet. Other than this, nothing is known about whom she may have dated or maybe dating. Her social media accounts – Instagram (10.3k followers) and Twitter (11k followers) – has not revealed any special beau or love interest. No, love-up photographs whatsoever hinting on anyone special man somewhere, except for her work and immediate family activities. As surprising as it looks that she keeps her affairs under wraps, it is quite understandable as everyone is entitled to a measure of their own privacy even though they are nosy journalists who snoop around for other people’s information and perhaps, Kristina Pink is focusing more on her career at the moment. From her activities on her social media account, we can affirm she sure loves attending weddings as she has often uploaded wedding pictures of her colleagues and friends there.